There are those who roll their eyes when Valentine’s Day comes around. They think, “Another invented holiday to make me buy stuff. “ I look at it differently; to me it is a day to spread love. It doesn’t have to be about red roses and chocolates. It could be the day to tell your best friend how much you appreciate her or call your mom and say I love you. Volunteering at an organization that helps others is a great way to pour love into society. We tend to rush through life with our attention on all we have to do. A day like Valentine’s Day makes us stop and think about Love. Hal David wrote the lyrics, “What the World Needs Now is Love Sweet Love.” Isn’t that sentiment is as true today as it was in 1965 when Jackie Del Shannon sang that song for the first time? How much better would the world be with an abundance of love and joy? Luckily we can each contribute freely. Think about spreading the love this February, spread it throughout the year. 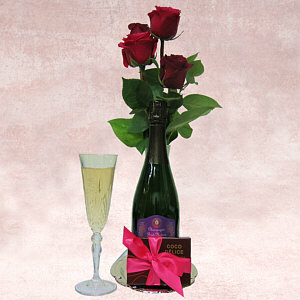 At Fancifull we will sell our share of flowers and chocolates, nothing wrong with that. But we want to pour love into this world of ours so we are having a Tasting on Friday February 10th with proceeds going to Project Angel Food, a local organization that delivers meals to those in need. All that love going out to so many people. Their funding is being cut dramatically under the current administration so they need all the help and love they can get. We will start pouring wine at 6pm, it is only $10 and for that you will get to sample all sorts of cheese, chocolates and artisanal food in our shop on Melrose – soon to be the Fancifull Tasting Bar. You can check it out on our website www.fancifull.com or call 323/466-7654. Fancifull was created because we loved the concept of sending love and joy out on a daily basis. I wanted gifts filled with amazing food and quality items that people would use and enjoy. It had to be personal. What keeps us excited, even after 30 years, is we spend our days sending messages of joy, thanks, and comfort. We deliver flowers along with condolences, a vegan basket to wish someone a happy birthday, or a bit of chocolate decadence to cheer someone up. It is all about letting people know they are being thought of, they are important to someone. Think beyond red roses: the wholesale cost of red roses triples around Valentine’s Day. It is not us florists gouging you, we actually make a lower profit. You can say I love you with just about any kind of flower or gift as long as your message is sincere and some thought went into it. Remember all the people who support you by sending a card or baking some cookies – it isn’t about the money spent but the love that goes into it. Project Angel Food – you can volunteer when you have time to help in the kitchen or delivering. They provide thousands of meals each week to those who cannot provide for themselves. They are currently experiencing a big cut in funding, so helping in any way you can is appreciated. Natural Resources Defense Council – They are defenders of our planet: the NRDC creates solutions for lasting environmental change, protecting natural resources in the U.S and across the globe. Fisher House – Helps military families with housing near their hospitalized loved ones. Root Down L.A. – A phenomenal local organization that is bringing better food and nutrition education to the neighborhoods of South L.A. They plant gardens, teach kids and their families about good food and how to prepare it, and help ensure better health to all. WriteGirl – WriteGirl is a creative writing and mentoring organization that promotes creativity, critical thinking and leadership skills to empower teen girls. They can use help from writers to mentor girls as well as donations. Whatever you do for Valentine’s Day, even if it is a day to love yourself by curling up on the couch and indulging in a little Netflix binge, do it with love in your heart and look for ways to keep that love flowing all year long. To quote one of my favorite authors Kurt Vonnegut: A purpose of human life, no matter who is controlling it, is to love whoever is around to be loved. It will be good for you and good for all of us.